Dr. Varsha Jain is a Professor in Integrated Marketing Communications and the Co-chair, FPM (Doctoral Level Program) at the MICA (India). Dr. Varsha has authored over 100+ publications in international, national and trade journals, book chapters and case study collections, including the Journal of Product and Brand Management, the Journal of Marketing Communication, Healthy Marketing Quarterly, the International Journal of Mobile Marketing, the Journal of Consumer Marketing, Young Consumers, the Asia-Pacific Journal of Business Administration, Middle East Media Educator, Marketing Insights and Marketing News, marketing management text book 15/e (Philip Kotler, Father of marketing and this text book is bible for marketing management, case contributor, by invitation) Ivey case collections and the Emerald Emerging Markets Case Studies Collection. She has also won awards and gold medals in the categories of not only “Best Researcher of the Year 2019”by Integrated Chambers of Commerce and Industry, Delhi, India , "Best Researcher of the Year 2018"by Centre for Education Growth and Research, Delhi, India, “Woman Academic Leader Award in Higher Education - 2018” by Foundation for Management Research and Training, Delhi, India, “Femina Women Leadership Award for excellence in Education”- 2018 and “DNA Education Leadership Award”- 2018 by World HRD Congress, Mumbai, India, “Outstanding Management Researcher Award – 2016”, “Young Outstanding Management Researcher – 2013”, but also “Outstanding Woman Management Researcher–2012”, awarded by AIMS (The Association of Indian Management Scholars) International. In her research and teaching career, she was visiting guest at Emory Business School, Atlanta, USA in April 2018 and 2017 (invited by Distinguished marketing professor, Jagdish Sheth) and visiting scholar and guest at The Medill School, North-western University, USA in May 2013 and April 2015 (invited by renowned marketing professor, Don Schultz, and visiting professor at the Indian Institute of Management (IIM), Indore in July 2013 and IIM, Trichy in December 2014. Her research specialties lie in digital marketing, luxury branding, and digital natives. Dr. Varsha’s current work entails writing a books on Consumer Behaviour: A Digital Native for India and China and Customer Relationship Management. Co Track Chair of Marketing Pedagogy and Education (Forthcoming, 2019) at Academy of Marketing Science, AMS Annual Conference, Premier Marketing Conference, USA (by invitation, only two scholars are invited from India). Organizing Co-Chair (2019) at Academy of Indian Marketing (Founded by Distinguished Professor, Jagdish Sheth) for 7th AIM-AMA (Academy of Indian Marketing and American Marketing Association) Sheth Foundation Doctoral Consortium, January 2019 MICA, India (by invitation). Faculty Fellow (2019) at Academy of Indian Marketing (Founded by Distinguished Professor, Jagdish Seth) for 7th AIM-AMA (Academy of Indian Marketing and American Marketing Association) Sheth Foundation Doctoral Consortium, January 4-7, 2019 MICA, India (by invitation). Track Chair and Discussant (2018) for Digital marketing, Advertising, Integrated Marketing Communication, and Doctoral Consortium at Academy of Marketing Science, AMS annual premier marketing conference, New Orleans, USA (by invitation). Track Chair of Understanding Digital Consumers and Marketing Practices (January 2018) at sixth Annual International Commerce Conference, 2018 hosted by University of Delhi and Co-hosted by Academy of Indian Marketing (AIM, Founder, Renowned Marketing Prof Jag Sheth), Theme of the conference is digital outreach and Future of Marketing Practices.. Faculty Fellow (2018) at Academy of Indian Marketing (Founded by Distinguished Professor, Jagdish Seth) for 6th AIM-AMA (Academy of Indian Marketing and American Marketing Association) Sheth Foundation Doctoral Consortium, January 5-7, 2018 Wee School, Bangalore, India (by invitation). Visiting Guest at Emory Business School, Atlanta, USA in April 2018 and April 2017 (worked with distinguished professor, Jagdish Sheth, by invitation). Session Track Chair (Brand Experience and Brand Personality) at Academy of marketing Science, AMS Annual conference (premier marketing conference), May 2017, USA (by invitation). Program Committee Member at AMS, 2017 for consumer Behavior and Doctoral Consortium (by invitation). Faculty Fellow at Academy of Indian Marketing (Founded by Distinguished Professor, Jagdish Seth) for 5th AIM-AMA (Academy of Indian Marketing and American Marketing Association) Sheth Foundation Doctoral Consortium, January 6-8, 2017 Wee School, Mumbai, India (by invitation). Co- Chair at AIMS (Association of Indian Management Scholars) 14th Conference organized at MICA, India from December 26 to December 28, 2016 (by invitation). Expert Judge at GLS University, Gujarat, India for national level event on integrated marketing communication, September 15-16, 2016 (by invitation). Resource Faculty at Ganpat University, Gujarat, India to conduct research workshop for faculty and scholars on writing research papers, January 29, 2016 (by invitation). Faculty Fellow at Academy of Indian Marketing (Founded by Distinguished Professor, Jagdish Seth) for 4th AIM-AMA (Academy of Indian Marketing and American Marketing Association) Sheth Foundation Doctoral Consortium, January 7-9, 2016 IMT Ghaziabad, Delhi, India (by invitation). Co Track Chair for Marketing Pedagogy and Education at Academy of Marketing Science Annual Conference 2016, Premier Marketing Conference, USA (by invitation). Visiting Guest at Medill School, Northwestern University, Evanston, IL, US in April 2015 mentored by Distinguish Marketing Prof. Don Schultz (Professor-in-Emeritus, Medill, by invitation). Visiting Scholar with Medill School, Northwestern University, Evanston, IL, US in May 2013, mentored by Distinguish marketing Prof. Don Schultz (Professor-in-Emeritus, Medill, by invitation). Track chair of “Media and Youth” session at AMIC (Asian Media and Information Centre, Singapore) conference 2010. ICMC MICA, India annual conference. Conducted a guest lecture on Mobile Marketing – the Indian Perspective on July 2, 2013 in Chicago campus of Medill School, Northwestern University, Evanston, IL, USA. Pearl Academy, Delhi, India on Contemporary Luxury Consumption Indian in March 2015. Received “Best Researcher of the Year 2019” on February 28, 2019 by Integrated Chambers of Commerce and Industry, Delhi, India. Received “Best Researcher of the Year 2018” on December 21, 2018 by Centre for Education Growth and Research, Delhi, India. Received “Woman Academic Leader Award – Higher Education” on September 30, 2018 by Foundation for Management Research and Training, Delhi, India. Received “Prof. Indira Parikh (renowned educator, India) 50 women education award” on July 5, 2018 Taj Lands’ End, Mumbai, India from World Education Congress. Received “Education Leadership Award” at 10th DNA Innovative Education Leadership Awards scheduled on 16th February, 2018, Taj Lands’ End, Mumbai, India from World Education Congress. Received “Woman Leadership Award for Excellence in Education” at Femina 5th World Women Leadership Congress, Taj Lands End, Mumbai on Feb 17, 2018, India from World Education Congress. Received “Best Participant Award 2017 for Case Teaching and Case Writing” by Indian Institute of Management, IIM, Indore at NASMEI (North American Society for Marketing education in India) Marketing Summer Annual Conference. Received “Outstanding Management Researcher Award - 2016” by the Association of Indian Management Scholars (AIMS International) on December 26, at MICA, India. Received first position for the co-authored (Pich, C., Jain, V. & Armannsdottir, G) best working paper titled as “The evolving nature of political brands: a comparative study exploring the Internal and External Brand orientations of David Cameron’s Conservative Party from 2010 to 2015” at 20th International Conference on Corporate and Marketing Communication, CMC Conference, Izmir University of Economics, Izmir, Turkey in April 2015. Received third place in best research paper category at 19th Corporate and Marketing Communication, CMC Conference, Unicatt University, Milan, Italy in April 2014. Paper was written with Prof. Don Schultz and title was Discovering India’s Three level of Luxury Consumption. Received “Outstanding Young Management Researcher 2013” (Gold Medal) by the Association of Indian Management Scholars (AIMS International) on December 22, at IMT Ghaziabad, (Delhi), India. Received “Outstanding Women Management Researcher 2012” (Gold Medal) by Association of Indian Management Scholars (AIMS) and on January 7, 2013 at Indian Institute of Management (IIM) Bangalore, India. Research Paper titled “Mobile Marketing: Positioning an Indian Framework” was among the top 20 papers at 4th Excellence in Research and Education Conference, Indian Institute of Management (IIM), Indore, India in May 2012. Research paper titled “Insight on Celebrity Endorsement: Consumers Perspective” is selected among top 15 papers by IMT Ghaziabad for publication in their book in January 2010. Research paper titled “Conceptualizing Celebrity Endorsement: The Indian Advertisers’ Perspective” was selected among the best papers by AMIC and was selected for the publication in AMIC’s journal Media Asia for its November 2009 issue. Research paper titled “Content Analysis of Print Advertisements of Celebrity Endorsement” was selected among top 15 papers by IMT Ghaziabad and was published by Mc Millan in a book titled Brands Rising as Product Falls January 2009. Best faculty guide for 30 students who were doing their internship program in different companies in June 2008 by ICFAI, Indore. Selected as the best faculty of the central region of India by ICFAI for publishing the papers and articles in May 2008. Jain, V., Schultz, D & Sheth, J. (Forthcoming) Consumer Behavior : A Digital Native for India. India : Pearson. Jain, V., Kitchen, P., B.E. G., Garg, A. & Shelat, M. (Forthcoming). Discovering surrogate branding via online image development: A case from India. International Journal of Management Concepts and Philosophy. Jain, V., Bansal, A. & Mishra, T. (Forthcoming). Digital Storytelling as a Solution to Destigmatize Products : Case of Women Lingerie from India. Journal of Business and Management. Jain, V., Merchant, A., Roy, S., & Ford, J.B. (2019). Developing an emic scale to measure ad-evoked nostalgia in a collectivist emerging market, India. Journal of Business Research, 99, 140-156. Jain, V., Bansal, B., Ang, P.H., & Ganesh, B.E. (2019). What missing the internet means for e-business: A case from India. Middle East Journal of Management, 6(3), 341-457. Jain, V., Shah, H. & Ganesh, B.E. (2018). Factors affecting the brand image of Yoga: Perceptions of consumers and instructors. South Asian Journal of Management, 25(4), 150-172. Jain, V., Chawla, M., Ganesh, B.E. & Pich, C. (2018). Exploring and consolidating the brand personality elements of the political leader. Spanish Journal of Marketing. 22(3), 295-318. Jain, V., Ganesh, B. E., Boaz, A., & Bansal, A. (2018). Understanding Bi-directional media consumption in online shopping: A case of three cities in India, Journal of Business and Management, 24(2), 47-74. DOI:10.6347/JBM.201809_24 (2).0003. Turner, J., Shah, R. & Jain, V. (2018). How brands are using nonlinear marketing to address consumer resistance to traditional marketing strategies. Journal of brand strategy, 6(4), 397-408. Roy, S., Jain, V. & Matta, N. (2018). An integrated model of luxury fashion consumption: Perspective from a developing Nation. Journal of Fashion Marketing and Management: An International Journal, 22(1), 49-66, doi: https://doi.org/10.1108/JFMM-04-2017-0037. Jain, V. (2017). Luxury: Not for consumption but developing extended digital self. Journal of Human Values, 24(1), 1-14. Jain, V., Bhandari, C. & Ganesh, B. E. (2017). Discovering the Interpersonal Relationship between Luxury Perfume Brands and Consumers. Transnational Marketing Journal, 5(2), 83-106. Jain, V., Pitch, C., Ganesh, B. E. & Armannsdottir, G. (2017). Exploring the influence of political branding: A case from the youth in India. Journal of Indian Business Research, 9(3), 190-211. https://doi.org/10.1108/JIBR-12-2016-0142. Roy, S. Jain, V. (2017). Exploring Meaning Transfer in Celebrity Endorsement: Measurement and Validation, Asia Pacific Journal of Business Administration, 9 (2), 87-104. Jain, V., Chandani, K. & Ganesh, B. E. (2016). Developing a sequential framework for nostalgia deployment: The Indian context. Middle East Journal of Management, 3(3), 244-265. Jain, V. & Roy, S. (2016). UFO Moviez Flying in the Digital Cinemaspace in India. IVEY. Jain, V., Paul, N., Ganesh, B. E., & Chauhan, D. (2016). Corporate identity: Developing means for sustainable competitive advantage in Indian context towards model development. Organizations and Markets in Emerging Economies, 7(1), 7-33. Jain, V., Arora, J., Ganesh, B.E., & Chauhan, D. (2016). Understanding the role of sweet and bitter eWoM on purchase behavior of Indian consumers for a technological product. Middle East Journal of Management, 3(2), 144-163. Jain, V. & Roy, S. (2016). "Understanding meaning transfer in celebrity endorsements: a qualitative exploration". Qualitative Marketing Research: An International Journal, 19(3). Jain, V., Bharadwaj, K., Bansal, A., & Natarajan, V. S. (2016). Discovering the Changes in Gendering of Products: Case of Woman in ‘Bikerni Community’ in India. Border Crossing, 6(2), 169-194. Jain, V. & Viswanathan, V (2015). Choosing and Using Mobile Apps: A Conceptual Framework for Generation Y, Journal of Customer Behavior, 14 (4), 295-309. Schultz, D. & Jain, V. (2015). Exploring luxury brand country of origin impact on purchasing behaviors in India: A conceptual framework. Asia-Pacific Journal of Business Administration, 7(3). Jain, V & Pant, S. (2015). Positioning Generation Y for Effective Mobile Communication: The Case if Three Cities in India. Transnational Marketing Journal, 3(1), 1-25. Verma, Y. & Jain, V. (2015). How experimental marketing is used in Indian luxury hotels? Romanian Journal of Marketing, 1, 2-11. Jain, V., Trivedi, R.H., Joshi, V. & Daswani, A. (2015). Does explicit comparative advertising affect Indian consumers’ attitudes towards low and high-involvement product? International Journal of Emerging Markets, 10(1), 122 – 140. Chhateja, J. & Jain, V. (2014). Understanding Generation Y and their perspectives on proximity and permission based SMS marketing. Romanian Journal of Marketing, 4, 2-10. Chu, G., Jain, V., Kim, I & Schultz, D. E. (2015). The second act: the evolution of IMC in China, Korea & India. Journal of Integrated Marketing Communications. Jain, V, Takayanagi, M. & Malthouse, E. (2014). Effects of show windows on female consumers' shopping behaviour. Journal of Consumer Marketing, 31(5), 380-390. Jain, V., Vasta, R. & Jagani, K. (2014). Exploring generation Z's purchase behavior towards luxury apparel: A conceptual framework. Romanian Journal of Marketing, 2,18-29. Jain, V., Roy, S. & Pant, A. (2013). Effect of color and relative product size (RPS) on consumer attitudes. Transnational Marketing Journal, 1(1), 41-58. Viswanathan, V. & Jain, V. (2013). A dual-system approach to understanding "generation Y" decision making. Journal of Consumer Marketing, 30(6), 484-492. Jain, V., Roy, S & Ranchhod, A (2013). Marketing Brand Aava: Not as Simple as Water, Emerald Emerging Markets Case Studies Collection, UK. Bhave, K., Jain, V. & Roy, S. (2013). Understanding the orientation of gen Y toward mobile applications and in-app advertising in India. International Journal of Mobile Marketing, 8(1), 62-74. Roy, S., Jain, V. & Rana, P. (2013). The moderating role of consumer personality and source credibility in celebrity engrossment. Asia-Pacific Journal of Business Administration, 5(1), 72-88. Pant, S. & Jain, V. (2013, March). A comparative analysis of mobile marketing: A case study approach. Middle East Media Educator, (3), 87-96. Jain, V. & Pant, S. (2012). Navigating Generation Y for effective mobile marketing in India: A conceptual framework. International Journal of Mobile Marketing, 7(3), 56-65. Narang, S., Jain, V. & Roy, S. (2012) Effect of QR Codes on Consumer Attitudes. International Journal of Mobile Marketing, 7(2), 52-64. Jain, V. & Roy, S. (2012). Emerging Trends in Global Advertising. Media Asia, 39 (4), 175-182. Jain, V., Pant, S. & Daswani, A. (2011). Mobile marketing: The emerging Indian perspective. International Journal of Mobile Marketing, 6(2), 17-27. Jain, V., Roy, S., Daswani, A., & Sudha, M. (2011). What really works for teenagers: Human or fictional celebrity. Young Consumers, 12(2), 171-183. Daswani, A., & Jain, V. (2011). Understanding luxury branding: a conceptual framework. Media Asia, 38(3), 131-139. Jain, V., Roy, S., Kumar, A., & Kabra, A. (2010). Differential effect of National Vs. Regional Celebrities on Consumer Attitudes. Management & Marketing Challenges for Knowledge Society, 5(4), 121-134. Jain, V., Roy, S., Sudha, M., & Joseph, J. (2009). Conceptualizing Celebrity Endorsement: The Indian Advertisers’ Perspective. Media Asia, 36(3), 176-184. Schultz, D.E. ; Jain, V. & Vishwanathan, V. (2015, August). Differential Gen Y's world of apps. Marketing News, 14-15. Schultz, D.E. & Jain, V. (2014). The digital self: Insight machine. Marketing Insight, 12-13. Schultz, D.E. & Jain, V. (2013). The young and the upwardly mobile: Luxury marketing in India. Marketing News, 26-27. Schultz, D.E. & Jain, V. (2013). The same, but different: Luxury brands fill disparate roles in China and India. Marketing Insights, 16-17. Jain, V., Daswani, A., Sudha, M., Ranchhod, A., & Parida, S. (2010). Celebrity Advertising in India. WARC Exclusive. Jain, V., Modi, P., Ganesh, B.E., & Chauhan, D. (2016). Understanding the emergence of aspirational luxury and the role of digital platforms among women consumers in India. NMIMS Management Review, 32-62. Jain, V & Pant, S. (2016). The Emergence of Generation Y as a Digital Consumer: A Conceptual Framework for Mobile Marketing in India. Media Watch, VII (2), 210-225. Jain, V. & Roy, S. (2015). Effect of audience personality traits on reality show watching motives. Media Watch, 6(2), 157-172. Jain, V.; Reddy, R.T. & Chauhan, D. (2015 April-May). Exploring divided attention: Watching sports with a second screen in India. NMIMS Management Review, 27. 45-60. Jain, V., Shetty, P. & Jagani, K. (2015). Impact of smell on consumer purchase intention at high and low purchase decision involvement level. Journal of Marketing & Communication, 10(2), 3-14. Jain, V. & Kharbanda, E. (2014). Exploring the role of Country of Origin for Luxury Personal Care products in India. NMIMS Management review, NMIS Management Review, XXV, 78-101. Jain, V. & Roy, S. (2013). Employee perception about knowledge management in information technology industry. IMS Manthan: The Journal of Innovations, VII (1), 75-81. Jain, V., Roy, S., Daswani, A. & Sudha, M. (2012). Advertising during recession: An agency perspective from India. NMIS Management Review, XXII, 77-88. Jain, V., Pingle, S. & Daswani, A. (2012). Understanding Indians Purchase Behaviour Process: Luxury Apparel Sector. Metamorphosis: A Journal of Management Research, 11(1), 82-94. Pant, S. and Jain, V. Mobile Marketing: Positioning an Indian Framework, Indore Management Journal, 129-145. Sharma, S. & Jain, V. (2011). How have corporate identities changed in India? Journal of Creative Communications, 6(3), 241-257. Roy, S & Jain, V (2011). Measuring the Brand equity of Online Brands: A Validation of the ORS Brand Equity Scale. IMS Manthan: The Journal of Innovations, 6(1), 91-95. Jain, V., & Roy, S. (2010). Ecoism awareness among customers and its impact on buying. I-Manager's Journal of Management, 5(1), 68-75. Jain, V., Roy, S., Sudha, M., & Daswani, A. (2010, October-December). How Celebrity Are Used in Indian Television Commercials. Vikalpa: The Journal for Decision Makers, 35(4), 45-52. Jain, V. (Forthcoming). Digital Marketing Approaches of Generation Y. USA:IGI Global. Roy, S. & Jain, V. (2015). The meaning transfer process in celebrity endorsements: A quantitative exploration. In M.W. Obal, N. Krey & C. Bushardt (Eds. ), Let’s get engaged! Crossing the threshold of marketing 's engagement era (pp. 539-544). Cham: Springer. Jain, V. & Roy, S. (2015). Generation Y and Mobile Marketing in India. In Z. Yan (Ed. ), Encyclopedia of Mobile Phone Behavior (pp. 1051-1065, Volumes 1, 2, & 3). Hershey, PA: IGI Global. Jain, V. & Viswanathan, V. (2015). The Usage and Application of Mobile Apps. In Z. Yan (Ed. ), Encyclopedia of Mobile Phone Behavior (pp. 1242-1255, Volumes 1, 2, & 3). Hershey, PA : IGI Global. Jain, V., Daswani, A., & Kumar, A. (2009). Insight on Celebrity Endorsement: Consumers Perspective. In: L. Nafees, O. Krishnan & T. Gore (Eds. ), Brand Research (pp. 141-53). Jain, V., Roy, S., D’Souza, A., Sudha, M., & Joseph, J. (2008). Content Analysis of Print Advertisements of Celebrity Endorsement. In: L. Nafees, & O. Krishnan (Eds. ), Brand Rising...As Products Fall (pp. 233-42). Jain, V., & Patel, K. (2010, September). Advertising Through Facebook: An emerging trend. Advertising Express, 10(9), 42-48. Jain, V. (2010, March). Is Cult Branding Possible in India? Advertising Express, 10(3), 16-20. Jain, V. (2009, September). Political advertising through Social Media. Advertising Express, 9(9), 19-24. Jain, V. (2009, June). Tryvertising: The Fascinating Way of Advertising. Advertising Express, 9(6), 46-50. Jain, V. (2009, May). What’s New in Marketing? Social Networking. Advertising Express, 9(5), 58-62. Jain, V. (2009, March). User Generated Commercials. Advertising Express, 9(3), 43-48. Jain, V. (2009, January). Cocooning in advertising. Connoisseur, 1(4), 6-9. Jain, V. (2009, January). Transformation from Mass to Micro Marketing. Advertising Express, 9(1), 49-53. Jain, V. (2008, December). Engagement Marketing- A New Dimension in Marketing. Advertising Express, 8(12), 55-60. Jain, V. (2008, October). Patriotic Appeal in Advertising. Advertising Express, 8(10), 43-48. Jain, V. (2008, April). Innovative Ways of Out of Home Advertising. Advertising Express, 8, 59-66. Jain, V. (2008, April). Intrinsic and Extrinsic Motivation. Indore Manager, 16(4), 11. Jain, V. (2008, January). Emo-rational Appeal in Advertising. Advertising Express, 8(1), 67-70. Ganesh, B. E., Jain, V. & Kitchen, P. (2017). Developing an analytical toolkit for qualitative marketing research. In Book of Abstracts 2017: IIM Indore-NASMEI Summer Marketing Conference (pp. 256). New Delhi: Emerald Publishing. Jain, V., Merchant, A., Roy, S., & Ford, J. B. (2017). Measuring Ad-Evoked nostalgia in India: An emerging market perspective-an abstract. In Stieler, M. (Ed. ), Creating marketing magic and innovative future marketing trends: Proceedings of the 2016 academy of marketing science (AMS) annual conference (pp.1199-1199). Cham-Switzerland: Springer. Jain, V., Pich, C., Ganesh, B. E., & Armannsdottir, G. (2017). Structured abstract: Comprehending political branding and brand image of the BJP in India. In Stieler, M. (Ed. ), Creating marketing magic and innovative future marketing trends: Proceedings of the 2016 academy of marketing science (AMS) annual conference (pp.1307-1313). Cham-Switzerland: Springer. Jain, V., & Don, S. (2017). Structured abstract: Discovering relationships between Indian luxury brands and Indian consumers. In Stieler, M. (Ed. ), Creating marketing magic and innovative future marketing trends: Proceedings of the 2016 academy of marketing science (AMS) annual conference (pp.1093-1099). Cham-Switzerland: Springer. Jain, V. & Schultz, D. (2016). The role of country of origin on purchase behaviour of luxury brands: A conceptual framework from India. In K.K. Kim (Ed.) Celebrating America's pastimes: Baseball, Hot Dogs, Apple Pie and marketing (pp. 215-216). Paper presented at the Academic Marketing Science (AMS) annual conference 2015, Colorado, USA. Garg, A.; Jain, V.; Pathak-Shelat, M. & Belk, R. (2016). Understanding digital sharing by Gen-Y among different reference groups for product purchase in India. In Marketing reborn: tradition, trends and techniques (PP 78-80). Paper presented at MICA, Ahmedabad, India. Shah, H. & Jain, V. (2016). Understanding the brand image of yoga in India. In Marketing reborn: tradition, trends and techniques. Paper presented at MICA, Ahmedabad,18-20 February 2016, (pp.95-96). Ahmedabad, India. Roy, S., Matta, N. & Jain, V. (2014). An Integrated model of luxury consumption: Empirical evidence from India. In Ubiquitous Marketing conference proceedings (pp.102- 110). Mumbai: K.J. Somaiya Institute of Management Studies and Research. Jain, V., Roy, S. & Pant, A. (2013). The effect of colour and Relative Product Size (RPS) on consumer attitudes: integrating the moderating effect of product familiarity. In S. Ailawadi, M. Khanna, & I. Jacob (Eds. ), Marketing metamorphosis transforming lives... nurturing lifestyles (pp. 64-71). Mumbai: Somaiya Publications Pvt. Ltd.
Jain, V., Pingel, S. & Dasvani, A. (2012). Understanding purchase behaviour of Indian luxury consumer. In A. Jain, Malhotra, N., S.K.B. Nair & S. Dash (Eds. ), Shaping the future of research in marketing in emerging economies: Look ahead (pp. 260-261). Noida: Pearson. Horvit, B., & Medvedeva, Y. (February 2016). Reporting and Strategic Communication Across Borders (working title). In E. Perry, & Len-Ríos. M. E. (Eds. ), Cross cultural journalism: Communicating strategically about diversity. Routledge, The Taylor & Francis Group. Jain, V., Merchant, A., Shroff, P & Bezbaruah, S. (Forthcoming). The Lazarus touch of Heritage – Place Branding a Multi- Stakeholder Study. Paper selected at Academy of Marketing Science, AMS Annual Conference, 2018. Vancouver, Canada. Jain, V., Shroff, P., Merchant, A. & Bezbaruah, S. (Forthcoming). Discovering Life Stories in the World Heritage City of Ahmedabad India. Paper selected at Academy of Marketing Science, AMS Annual Conference, 2018. Vancouver, Canada. Jain, V., Kitchen, P., B.E., G., Garg, A. & Shelat, M. (2018, May). Discovering Surrogate Branding Via Online Image Development: A Case from India. Paper presented at Academy of Marketing Science, AMS Annual Conference 2017. New Orleans, USA. Jain, V., Merchant, A., Deshmukh, S. & B.E., G. (2018, May) Towards an Analytical Framework to Understand Consumer Disengagement with Digital Advertising. Paper presented at Academy of Marketing Science, AMS Annual Conference 2017. New Orleans, USA. Bansal, A. & Jain, V. (2018, April). Understanding E-Delphi Sequentially: Case of ‘Corporate Societal Branding’ from India. Paper presented at Conference on Corporate and Marketing Communications (CMC2018), Exeter University Business School. Exeter, UK. Jain, V., Kitchen, P. & B.E. G. (2017, May). Wizardry in Qualitative Marketing Analysis: A Tool Box for Teaching. Paper presented at Academy of Marketing Science Annual Conference 2017. Coronado Island, California, USA. Jain, V., Kitchen, P. & B.E. G. (2017, May). The Development of Political Brand Image: A Study. Paper presented at Academy of Marketing Science Annual Conference 2017. Coronado Island, California, USA. Jain, V.& Schultz, D. (2016, May). Discovering Relationships between Indian Luxury Brands and Indian Consumers. Paper presented at Academy of Marketing Science Annual Conference 2016. Orlando, USA. Jain, V., Merchant, A., Roy, S. & Ford, J. (2016, May). Measuring Ad Evoked Nostalgia in India: An Emerging Market. Paper presented at Academy of Marketing Science Annual Conference 2016. Orlando, USA. Jain, V.& Schultz, D. (2015, May). Discovering the role of country of origin on purchase behavior of luxury brands in India: a Conceptual Framework. Paper presented at Academy of Marketing Science Annual Conference 2015. Denver, USA. Pich, C., Jain, V., Armannsdottir, G. & Ganesh, B.E. (2015, April) .Understanding the role of social media in political corporate branding research in the context of Indian politics. Working Paper presented at 20th International Conference on Corporate and Marketing Communication, CMC Conference, Izmir University of Economics, Izmir, Turkey. Pich, C., Jain, V. & Armannsdottir, G (2015, April).The evolving nature of political brands: a comparative study exploring the Internal and External Brand orientations of David Cameron’s Conservative Party from 2010 to 2015. Working Paper presented at 20th International Conference on Corporate and Marketing Communication, CMC Conference, Izmir University of Economics, Izmir, Turkey. Jain, V.& Schultz, D. (2015, April). How Digital Platforms Influence Luxury Purchase Behavior in India? Paper presented at 20th International Conference on Corporate and Marketing Communication, CMC Conference, Izmir University of Economics, Izmir, Turkey. Roy, S. & Jain, V. (2014, May). The Meaning Transfer Process in Celebrity Endorsements: A Quantitative Exploration. Paper presented at Academy of Marketing Science Annual Conference 2014. Indianapolis, USA. Jain. V. & Roy, S. (2014, April). Understanding Meaning Transfer in Celebrity Endorsements: A Qualitative Exploration. Paper presented at 19th International Conference on Corporate and Marketing Communication, CMC Conference, Unicatt University, Milan, Italy. Schultz, D. & Jain, V. (2014, April). Discovering India’s Three level of Luxury Consumption. Paper presented at 19th International Conference on Corporate and Marketing Communication, CMC Conference, Unicatt University, Milan, Italy. Jain, V., Dhamle, N. & Jagani, K. (2013, November) Integrated Marketing Communication in Nutrition Segment. Paper presented at the 1st International Corporate and Marketing Communications in Asia Conference, Chulalongkorn University, Bangkok. Ranchhod, A., Jain, V. & Gurau, C. (2013, November). How cultural differences drive creativity in Luxury in the West and consumption in the East. Paper presented at 3rd Interreg Conference, Deauville, France. Pant, S. & Jain, V. (2012, July). Conceptualizing and Positioning Generation Y in India: A Case for Mobile Marketing. Paper presented at 21st AMIC Annual Conference & 40th Anniversary Celebration, Shah Alam, Malaysia. Jain, V., Sudha, M., Roy, S., & Daswani, A. (2010). What really works on Teenagers – Human or Fictional celebrity? In Technology and Culture: Communication Connectors and Dividers, Paper presented at 19th AMIC Annual Conference 21-23 June 2010 Suntec, Singapore. Peng Hwa, A., & Jain, V. (2009). Influences of Communication Education in India: A Social Network Analysis. In The 59th Annual Conference of the International Communication Association, May 21-25, 2009, Chicago, IL USA. B.E. G, Jain, V. & Kitchen, P. (2017, July). Developing an Analytical Tool Kit for Qualitative Marketing Research. Paper presented at Indian Institute of Management Indore, India NASMEI (North American Society for Marketing Education in India) Summer Marketing conference, 2017, IIM, Indore, India. Jain, V., Merchant, A, B.E. G & Shukla, M. (2017, January). How Advertising Can Un-Stereotype the Portrayal of Women? Paper presented at distinguish panel at International Communication Management Conference, MICA, Ahmedabad, India. Jain, V., B.E. G. & Bansal, A. (2017, January). Emergence of Societal Branding in India. Paper presented at International Communication Management Conference, MICA, Ahmedabad, India. Jain, V., B.E. G. & Bansal, A. (2017, January). How Societal Branding can enhance Corporate Identity in India? Paper presented at International Communication Management Conference, MICA, Ahmedabad, India. Jain, V., Bharadwaj, K., Bansal, A. & Nataranjan, S., V. (2016, May). Discovering the role of Social Media in Gendering Products: Case of Women in Bikerni Community in India. accepted at 7th Excellence in Research and Education Conference, Indian Institute of Management, Indore, India. Garg, A., Jain, V., Shelat, M. and Belk, R. (2016, February). Understanding digital sharing by Gen Y among different reference groups for product purchase in India. Paper presented at International Communication Management Conference, MICA, Ahmedabad, India. Shah, H. & Jain, V. (2016, February). Understanding the brand image of yoga in India. In Marketing reborn: tradition, trends and techniques. Paper presented at International Communication Management Conference, MICA, Ahmedabad, India. Roy, S., Matta, N. & Jain, V. (2014, January). An Integrated Model of Luxury Consumption: Empirical Evidence from India. Paper presented at ninth SIMSR Global Marketing conference, Mumbai, India. Jain, V., Roy, S. & Pant, A. (2013, January). The effect of colour and Relative Product Size (RPS) on consumer attitudes: integrating the moderating effect of product familiarity. Paper presented at 8th SIMSR Global Marketing conference, Mumbai, India. Jain, V., & Ranchhod, A. (2012, July). Developing a conceptual Framework for understanding Luxury Brand Consumption in India and China. Paper presented at second AIM International Conference, Bangalore, India. Jain, V., & Shetty, P. (2012, July). Impact of Sensory Branding on Consumers along with Purchase Decision Involvement. Paper presented at second AIM International Conference, Bangalore, India. Pant, S. and Jain, V. (2012, May). Mobile Marketing: Positioning an Indian framework. conducted at 4th Excellence in Research and Education Conference, Indian Institute of Management, Indore, India. Jain, V., Pingle, S. & Daswani, A. (2012, January). Understanding the Purchase Behavior of Indian Luxury Consumers in international marketing conference by IIM-L, Noida, India. Jain, V., Trivedi, R., Joshi, V., &. Daswani, A. (2011, June). Effectiveness of Comparative Advertising on Consumer’s Attitude. In Taking Stock of Media and Communication Studies: The Challenges and Opportunities of Globalisation, New Media and the Rise of Asia, 20th AMIC Annual Conference 2011, Hyderabad, India. Gauba, S., & Jain, V. (2011, June). Understanding Sensory Branding: Hindu Religion in India. In Taking Stock of Media and Communication Studies: The Challenges and Opportunities of Globalisation, New Media and the Rise of Asia, 20th AMIC Annual Conference 2011, Hyderabad, India. Jain, V., Daswani, A., & Kumar, A. (2009, Januray). Insight on Celebrity Endorsement: Consumers Perspective. In Second International Conference on Brand Management; Ghaziabad, India. Jain, V., Sudha, M., Roy, S., & Daswani, A. (2010, May). How Celebrities Are Used In Print and Television Ads: The Case of India. In second Excellence in Research and Education Conference, Indian Institute of Management, Indore, India. Jain, V., Roy, S., Kumar, A., & Kabra, A. (2010). Differential Effect of National vs. Regional Celebrities on Consumer Attitudes. In Second International conference on Brand Management, Institute of Management Technology, Ghaziabad, India. Jain, V., Sudha, M., & Daswani, A. (2009). Customers’ Perception on celebrity endorsement in television advertising for retail brands. In IBS, International Conference on Marketing and Business Strategy, Hyderabad, India. Jain, V., Sudha, M., Roy, S., & Daswani, A. (2009, July). Conceptualizing Celebrity Endorsement: The Indian Advertisers’ Perspective. In Media, Democracy and Governance: Merging Paradigms in a Digital Age, 18th AMIC Annual Conference, Delhi, India. Jain, V., Sudha, M., Roy, S., & Daswani, A. (2009, July). The Impact of Recession on Advertising in India. In Media, Democracy and Governance: Merging Paradigms in a Digital Age, 18th AMIC Annual Conference 2009, Delhi, India. Jain, V., & Bhattacharya, R. (2009, December). Celebrity Effectiveness and Product Involvement. In Third Great Lakes-NASMEI Marketing Conference, Chennai, India. Jain, V., & Gupta, S. (2009, December). Effectiveness of Single vs. Multiple Celebrity Endorsement in Advertising. In Third Great Lakes-NASMEI Marketing Conference, Chennai, India. Jain, V., Sudha, M., & Daswani, A. (2009, January). Customers’ Perception on celebrity endorsement in television advertising for retail brands. In International Conference on Marketing and Business Strategy ICOMBS, IBS, Hyderabad, India. Jain, V., Roy, S., D’Souza, A., Sudha, M., & Joseph, J. (2008, November). Content Analysis of Print Advertisements of Celebrity Endorsement. In first International Conference on Brand Management, IMT, Ghaziabad, India. Roy, S. & Jain, V. (2012, October). The effect of Audience Personality Traits on Reality Show Watching Motives: An Exploratory Study in Indian Context. In National conference: Innovation for Competitive Edge: Growth and Sustainability, Symbiosis Centre for Management Studies, Delhi, India. Jain, V., & Roy, S. (2008, May). Employee Perception about Knowledge Management in Information Technology Industry. In Fifth National Conference on Information Technology: Issues and Challenges, Pioneer Institute of Professional Studies, Indore, India. Roy, S., & Jain, V. (2008, May). Measuring the Brand Equity of Online Brands: A Validation of the ORS Equity Scale. In Fifth National Conference on Information Technology: Issues and Challenges, Pioneer Institute of Professional Studies, Indore, India. Jain, V., & Roy, S. (2008, May). Ecoism Awareness and its Impact on Purchase Decision. Conference conducted at the Punjab Technical University, Ludhiana, India. Jain, V. (2006, September). Advertising Strategies of Singapore and Kerala Tourism. In ATITHI’06 National Hospitality Conference, Kohinoor IMI, School of Hospitality Management, Khandala, India. Conducted sessions on “Communications as Competitive tool on March 8, 2017 at Indian Institute of Management, IIM, Kolkata, India for top performers across India of Amway, India (by invitation). Jain, V. (2010, February) Dimensions of Advertising Appeal-An Exploratory Study Presented at ICFAI Business School, Mumbai, India. Pavit Ceramic (Ahmedabad based tiles manufacturing company, November – March 2013) with MICA team (three, 12 students) for assessing the brand perception and for repositioning the brand. Research was undertaken for Mumbai, Delhi, Pune and Ahmedabad markets. Subsequently, branding and repositioning strategies are developed from the key research findings. Guiding four students of PGP (Master Level) of MICA (July 2017- Feb 2018) for dissertation (published one peer reviewed journal paper). Guided four groups of 20 PGP (Master Level) of MICA (July – October 2017) for rural immersion where they conducted ethnography in rural areas, developed report and poster, gave presentation based on the live issues provided by the organisation known as SEWA (this organization was delighted with their work). Guided three PGP students (Masters Level) of MICA (July 2016 – February 2017, one student received best dissertation award at MICA; working on two international peer reviewed papers). Guided 10 PGP students (masters level) in their dissertations at MICA (July, 2010- March 2011, one student received second position in best dissertation award by MICA, one international peer reviewed journal paper, one international peer reviewed conference paper). Digital advertising, advertising and content (second year FPM scholar, September 2018). Conducted workshop on how to publish in international journals on October 5 and October 6, 2018 for PhD scholars and faculty at Nirma Institute of Management, India (by invitation). Conducted Crafting Dissertation workshop in July 2014, September 2013, August 2012, July 2011 and August 2010 at MICA. Received “Best Researcher of the Year 2019”on February 28, 2019 by Integrated Chambers of Commerce and Industry, Delhi, India. Received “Outstanding Management Researcher Award- 2016” by the Association of Indian Management Scholars (AIMS International) on December 26, at MICA, India. Received third place in best research paper category at 19th Corporate and Marketing Communication, CMC Conference, Unicatt University, Milan, Itlay in April 2014. Paper was written with Prof. Don Schultz and title was Discovering India’s Three level of Luxury Consumption. (2019, January 9). When Scholars join with, Nav Gujarat Samay , pp.4, Ahmedabad edition, India. (2019, January 5). Divya Bhaskar city, pp.2 Ahmedabad edition, India. (2018, November26). Personality Traits Key to Politicians’ Image, DNA, pp.3, Ahmedabad edition, India. (2018, July 11). MICA's Professor achieves best education award after 8 years’ diligence, Divya Bhaskar city, pp.1, Ahmedabad edition, India. (2014, April 11). Marketing ma India bahu moti brand bani rahi chhe, Gujarat Samachar Plus, pp. 2, Ahmedabad edition, India. (2014, January 1). MICA Professor Ms Varsha Jain bags the prestigious awards at IMT Ghaziabad. Rajasthan Patrika, India. (2014, January 1). MICA Professor Ms Varsha Jain bags the prestigious awards at IMT Ghaziabad. Prabhat, India. (2014, January 1). MICA Professor Ms Varsha Jain bags the prestigious awards at IMT Ghaziabad. Standard Herald, India. (2014, January 1). MICA Professor Ms Varsha Jain bags the prestigious awards at IMT Ghaziabad. Divya BHaskar, pp. 2, Ahmedabad edition, India. 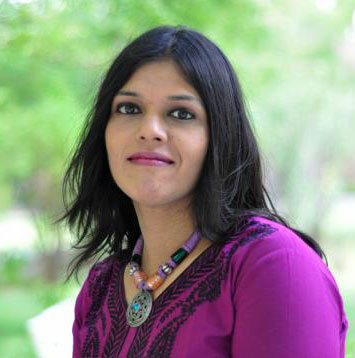 MICA Professor Ms Varsha Jain bags the prestigious awards at IMT Ghaziabad, retrieved from http://www.coolavenues.com/b-school-updates/mica-prof-varsha-jain-bags-prestigious-title-outstanding-young-management-researcher on December 31, 2013. (2013, December 23). Mica Prof Grabs Young Management Researcher Award. Ahmedabad Mirror, pp. 5, Ahmedabad edition, India. Bhatia, T. (2013, November 30). Check that impulse. Ahmedabad Mirror, pp.1, Ahmedabad edition, India. Mukherjee, R. (2013, November 24). Indians, Chinese see luxury goods differently. Times of India, pp.2, Ahmedabad edition, India. Mukherjee, R. (2013, November 21). FB ‘likes’ govern luxury purchases of youth: Study. Times of India, pp.4, Ahmedabad edition, India. (2013, October 30). Color ads, bigger pictures impact consumers more, says MICA paper, Times of India – Ahmedabad Mirror, pp. 07, Ahmedabad edition, India. Medill Matters, Northwestern University, Evanston, IL, USA, Volume 3, issue 4, pp. 2, edited by Ben Guerra. (2013, May 1). MICA Professor present Research Paper on Recession Advertising Sandesh (Ahmedabad), pp.4 (City Life), Ahmedabad edition, India. Rana, N. (2012, December 6). What women want: To shop alone. DNA, pp.4 (edition Ahmedabad, India). Excerpts of Dr. Varsha Jain's interview has got published in Advanc'edge MBA magazine. Rise above IQ by Reshmi Majumdar (October 2011) Page no. 8. Desai, R. (2009, July 20). Mission Mangaonkar. Times of India, pp.12. Mehta, G. S. (2009, June 8). Public sector Cos Ad a Sense of Security during Recession. Economic Times, pp. 2. Mehta, G. S. (2009, May 2). Teens Prefer Toons for White Goods Choice. Economic Times, pp.2. Mehta, G. S. (2009, February 9). Prove yourself, then get paid for Endorsing Ads. Economic Times, pp. 1& 5. Pathak. D. (2009, January 16), Sachin Humbles Big B in Ad Race. Ahmedabad Mirror, pp. 9. Mehta. V.V. (2008, December 23) Big B, SRK Among City’s Favorite Faces of Ads. The Times of India, pp. 4.